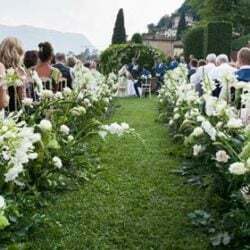 ur readers will surely know how much we love Lake Orta and how much we think that this is the destination for the ones who are looking for a romantic, natural, authentic fresh wedding in an authentic Italian village, the perfect Italian style and Italian concept. Helen and Tom chose it for this reason. 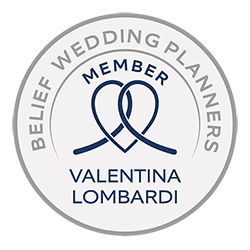 We are also proud to say that their wedding concept was among the winners Belief IWP Contest 6th Edition, thanks also to amazing photos of Milo Zanecchia. 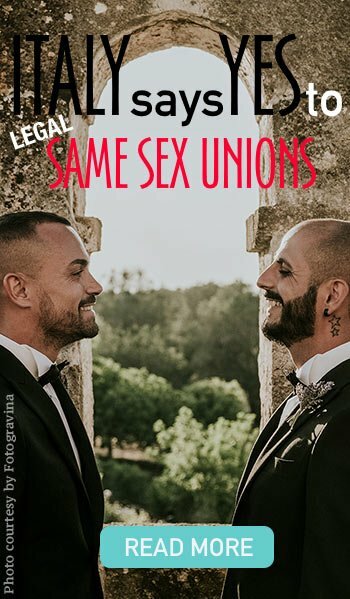 We couldn’t be happier for this…. 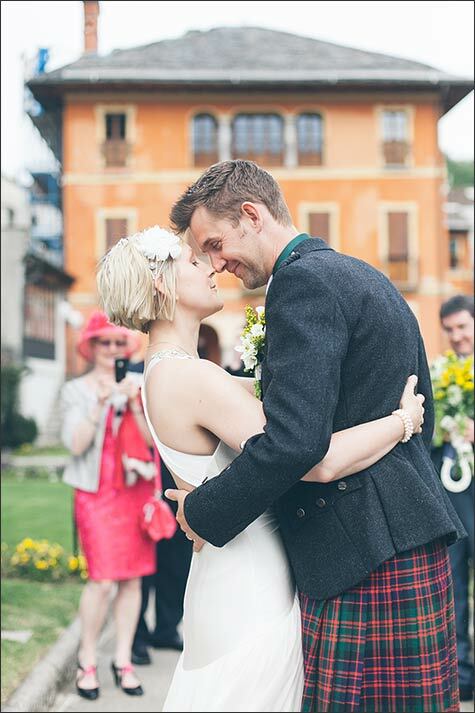 as this wedding really incorporate the freshness and beauty of a wedding on Lake Orta. Helen had very clear ideas since the beginning of the planning. 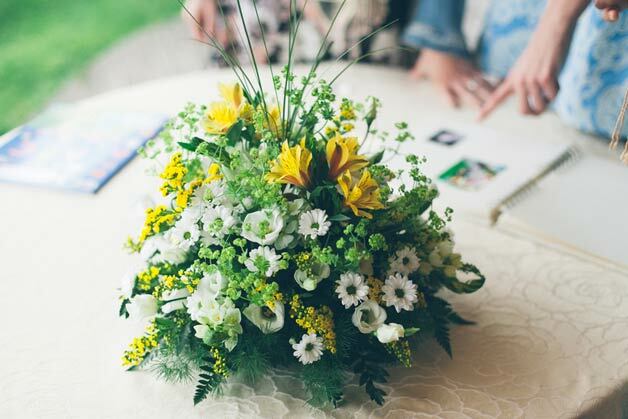 She wanted a fresh country chic style for her wedding on Lake Orta and we studied with her the right decor involving Paola of La Piccola Selva floral designer to create the effect. 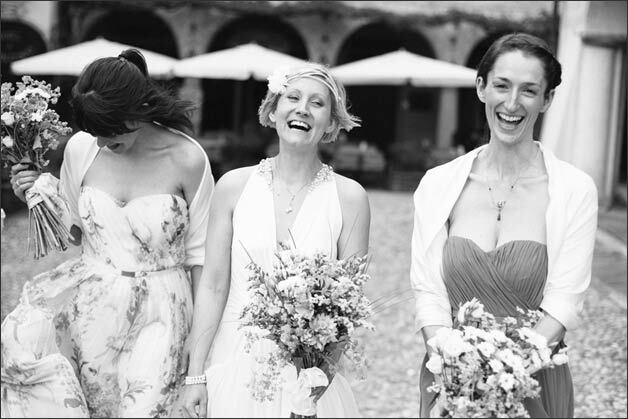 She wanted to have rather than bridal and bridesmaids bouquets a real bunch of flowers like they were picked from the meadow. 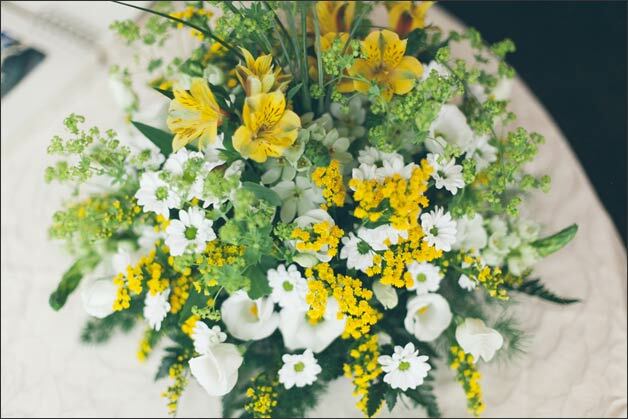 Colors where yellow and a lot of different greenery to perfectly match with green bridesmaids dresses and floral maid of honor dress. 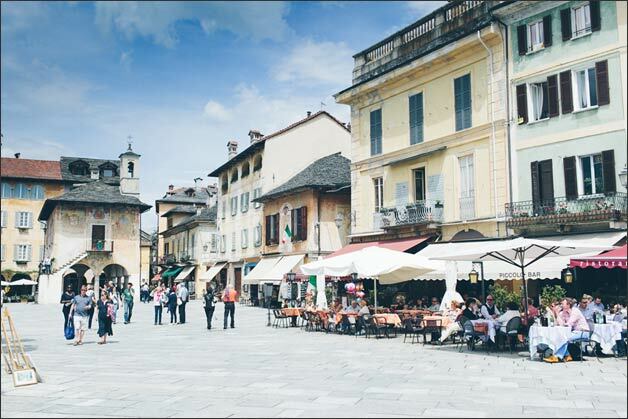 Once arrived in Orta the bridal party had base in one of the most traditional hotel of the village located in the main square (Piazza) of Orta San Giulio. 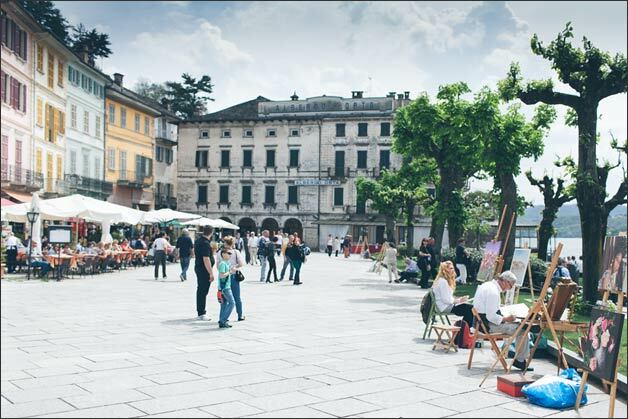 Style of the hotel perfectly matches the style of Orta village that Helen loved since the beginning. 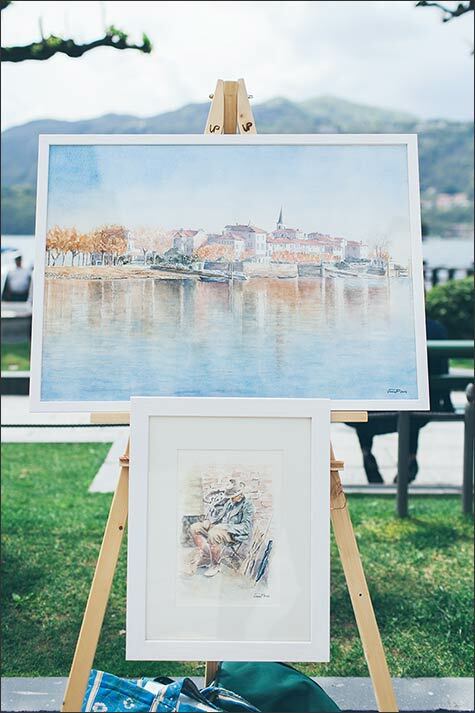 Being a good friend of the couple incredibly talented photographer Milo Zanecchia not only took amazing shots of the event but even some wonderful photos of Orta village and its life in Spring, early Summer time. Once ready bride walked to the town hall and she reached Orta main square to take some photos with bridesmaids before leaving by boat to Villa Bossi for the civil ceremony. 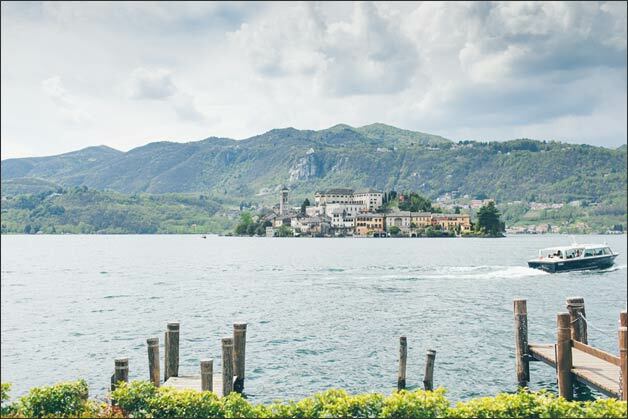 As tradition wants in Orta, bride arrived by rowing boat with her dad. At the town hall guests and most of all Tom was waiting for her. 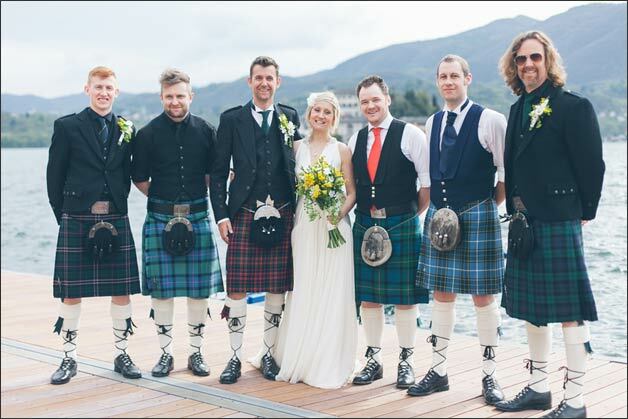 As being Scottish Tom wore his kilt and he looked very handsome it it! 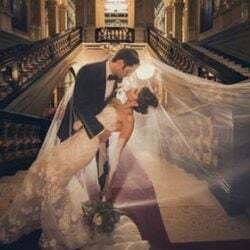 Ceremony was enriched with readings and personal vows. Some special moments everybody loved. 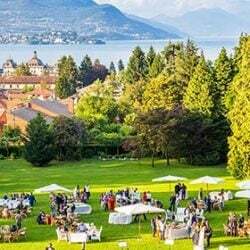 After the ceremony bride and groom and all their guests walked to close by Hotel San Rocco which is literally located next door Villa Bossi to have a nice aperitif and Prosecco toast with all their guests. This was also a great occasion to have fun pictures with bridesmaids and groomsmen. 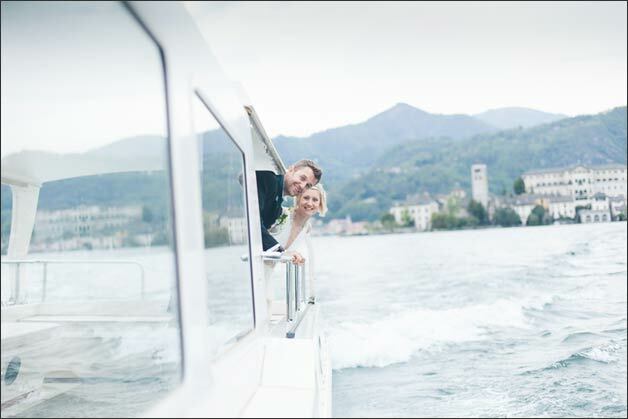 While guests enjoyed the rest of the aperitif bride and groom got on a special motorboat to reach St. Julius Island to take some moments for themselves only and amazing photos. Milo Zanecchia really created some special shots here! After a while guests also got on their boat to have a pretty tour on the Lake, looping around St. Julius Island and reach reception venue: Ustaria Ca dal Rat. 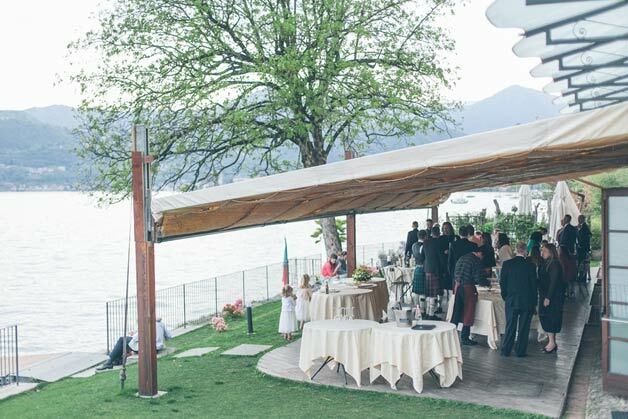 As soon as bride and groom reached the reception venue too they could all enjoy another aperitif by the shore and a romantic sunset on the lake and its mountains. After some fun speeches a gourmand Italian meal accompanied by best wines of Piemonte region could begin. Music as background and a little night breeze. 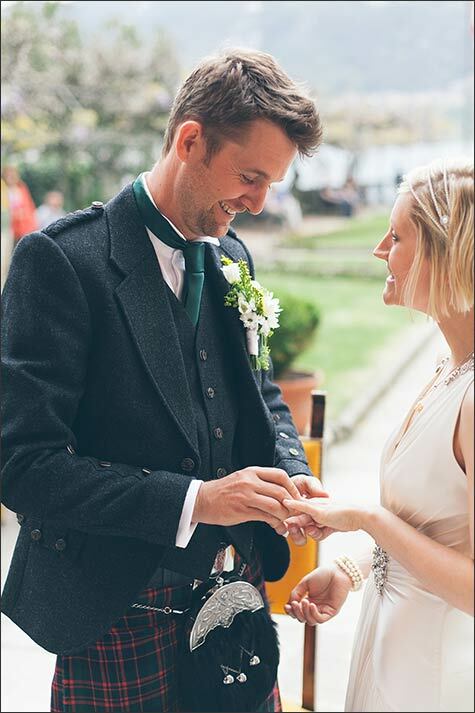 Helen could wear a kilt cape matching Tom’s color. 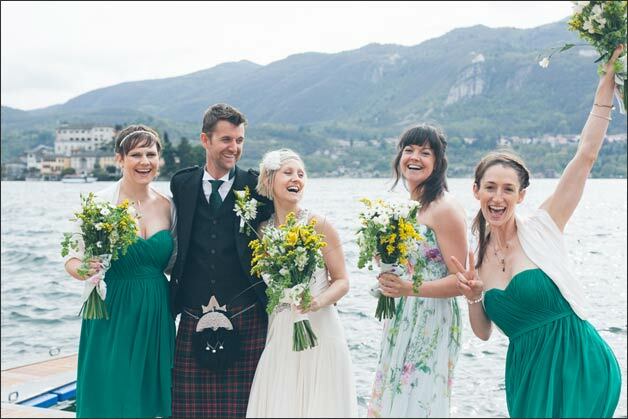 A touch of Scotland on Lake Orta makes weddings here so poetic! 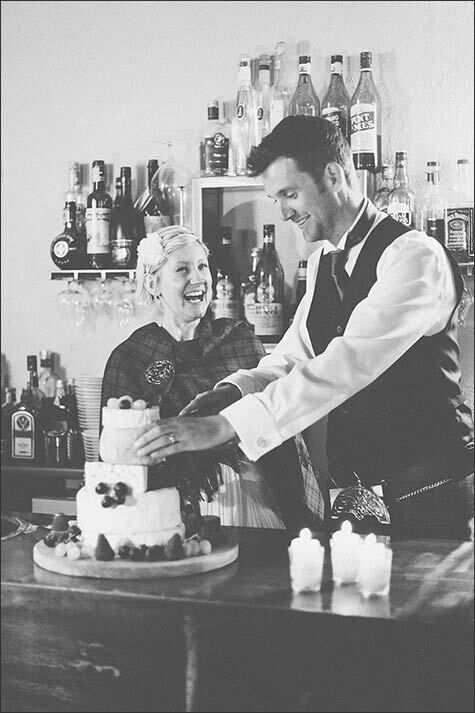 Helen and Tome wanted something different for their wedding cake so they decided to cut it by the bar area in order to serve fun drinks afterwards and spend a fun night with music and chats. 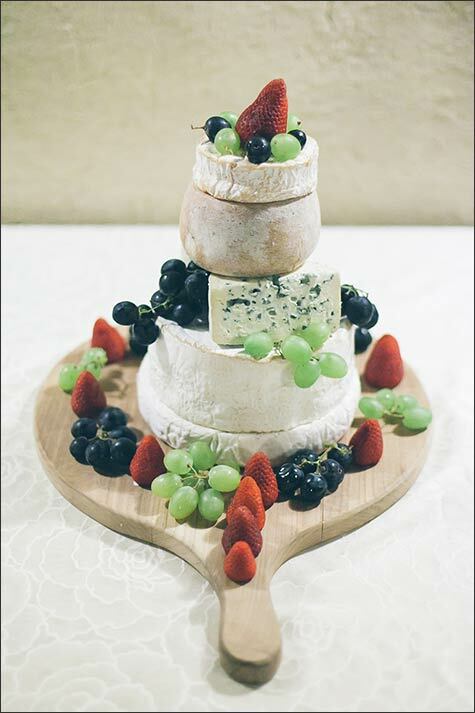 But the key factor was the one of a kind wedding cake they go for: a tiered cake made of cheeses. What a great idea! It was made of all traditional Piemonte region cheeses and decorated with fresh fruits. It was served on a wooden tray to give that special rustic feel to all the set. Everybody loved it, we loved it! 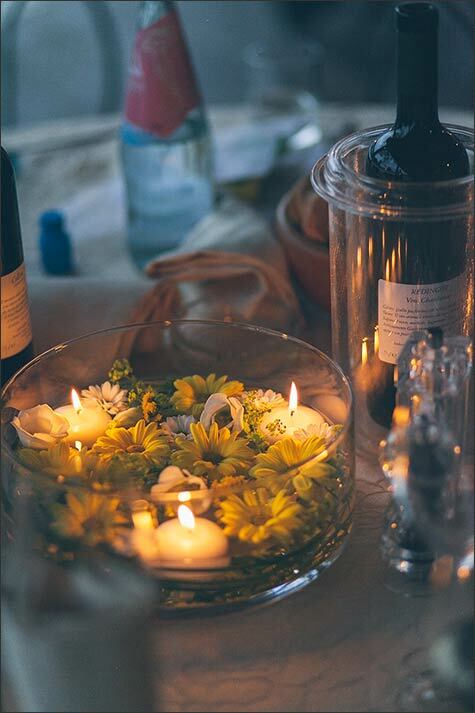 Night could go on with music and fun for all. 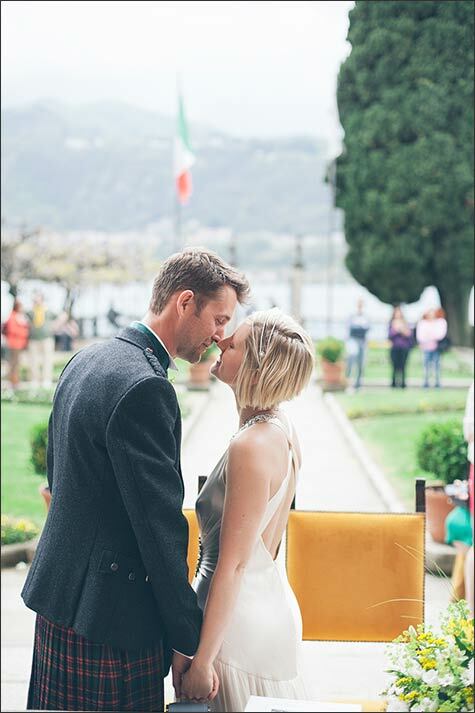 We could never forget the freshness and happiness of this couple that really caught the feeling of Lake Orta and its authentic village. 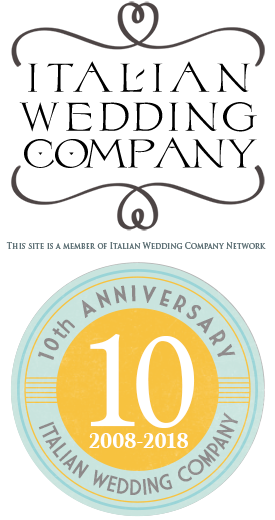 A very special thanks to Milo Zanecchia for his amazing photos and to Belief IWP for awarding us in occasion of they 6th Edition Awards!